13 July 2008 - You know how I am about blossoms... I love them. This is a tomato blossom. They hang down naturally, but I wanted you to see what it looks like. 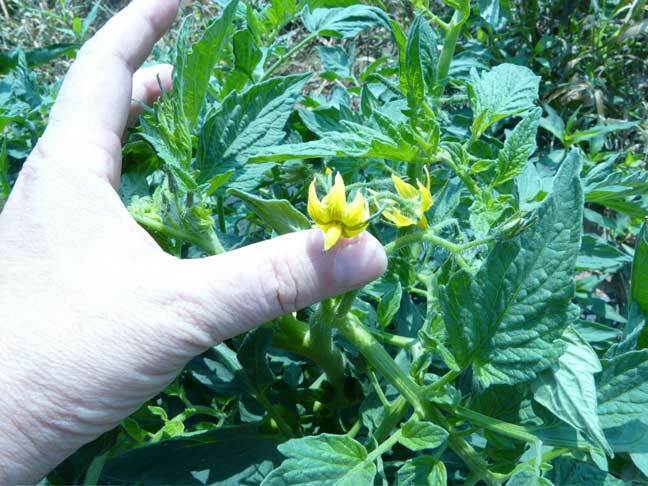 Each blossom will become a tomato (if pollenated by a bee, the wind, or other insects).